The Islamic State claimed responsibility for an explosion near a polling station in Quetta, Pakistan, on Wednesday, according to the group’s AMAQ news agency. The bomber targeted a senior police officer and his guards when he came to examine the security arrangements at the polling station. There were imminent threats of violence during Wednesday’s voting after a deadly campaign in which more than 180 people were killed in a series of bombings. 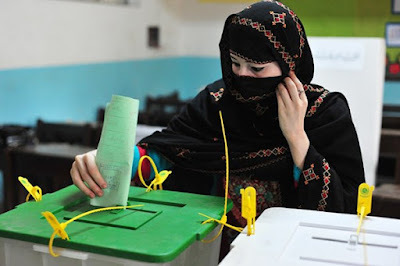 No fewer 100 million people are registered to vote in the Muslim-majority country that has alternated between democracy and military rule. No fewer than 11,000 candidates are running in the national legislature and its provincial counterparts, according to election authorities.